Looking for recommended lenses for Sony full frame E-mount camera system? Take a look at our best Sony full frame E Mount lenses. Until today, Sony introduced six full-frame mirrorless cameras. If we look at these, we can count the a7RII, a7SII, a7II, a7R, a7S, a7 models. Of course, the number of FE-mount lenses, which are unique parts of the system, is increasing day by day. You’ve already got the A7-series, an amazing full-frame mirrorless camera, now it’s time to invest into building a lens system With that in mind, we wanted to list the best Sony full-frame E-mount lenses in various categories. All of these have superb image quality. In this article we only try to focus on native FE lenses for Sony full frame E-mount cameras. 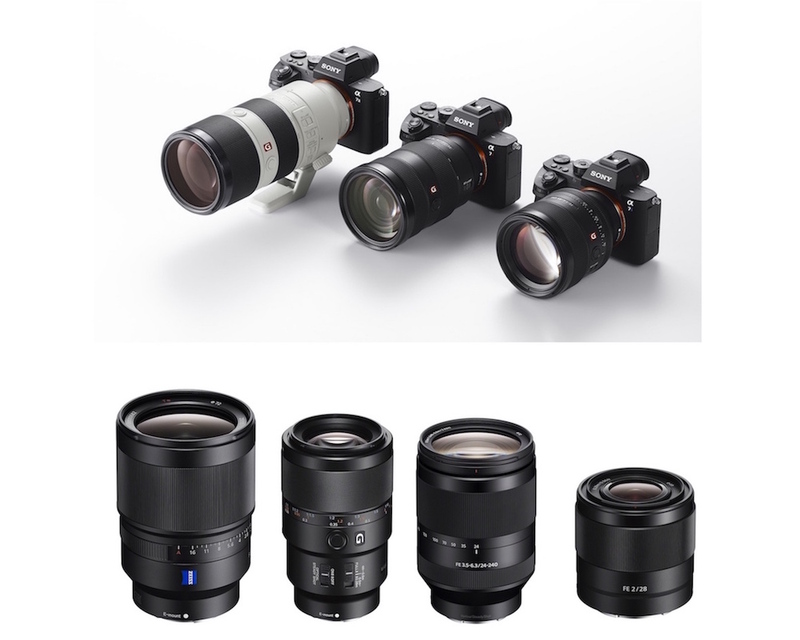 As a side note, all of these Sony Full Frame E-Mount (FE) lenses will also work on E-mount cameras with APS-C sized image sensor. These includes the shooters like Sony a6500, a6300, a6000, a5100, a5000 and NEX cameras. Below are the top recommended and best Sony Full Frame E Mount lenses that are excellent for both complete amateurs and highly advanced photographers. Sony FE 24-240mm f/3.5-6.3 OSS Lens ($998): This is the most affordable travel all-around native lens for Sony E-mount. Focal length is ideal in full-frame 24mm to 240mm zoom range that allows this lens to cover an extensive variety of shooting situations with 10x effective zoom range. Budget friendly lens makes it ideal shooting for landscape, snapshots, portraits and travel photography. Sony FE PZ 28-135mm f/4 G OSS ($2,498): This is a video-centric product designed to satisfy 4K production requirements. The PZ optic covers wide-angle to telephoto perspectives while adding many features for A7-series cameras. If you want to use video features mostly this lens would fit your needs. Zeiss Batis 85mm f/1.8 Lens ($1,199): The Zeiss Batis 85mm short telephoto has been designed specifically for full-frame E-mount mirrorless cameras. It is also dust and weather sealed. Sony FE 90mm f/2.8 Macro G OSS ($1,098): Optimized for macro and close-up portrait photography this lens provides excellent sharpness, depth of field, and color rendition. Its maximum aperture of f/2.8 is effective when shooting in low light and allows for shallow depth-of-field focus. Perfect macro lens for Sony A7 series mirrorless cameras. Here’s a round-up of all the best Sony full frame E Mount lenses. If you know and want to add some missing native FE lenses for Sony a7, a7R, a7S mirrorless cameras, please drop us a message from the comment box below.